This week's challenge for the Creative Collective was to create a playlist of new music. I admit, I cheated a little on this one! I started to go through music on Grooveshark to find some new artists that I hadn't heard before, but I found myself also getting caught up with old artists from my past that I'd almost forgotten about and also a few that have been playing on repeat in my car this season. This winter has been full of ups and downs, cozy boring days of recovery and crazy adventures, horrible news followed great news...it's been a rollercoaster, but in the end, it's been about finding a place of contentment and learning to celebrate the little things. That is what inspired my winter playlist. 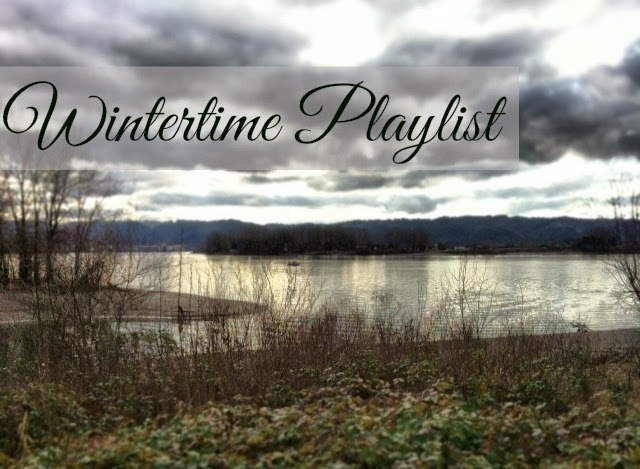 What are you listening to this winter? Great playlist! I haven't heard of most of these artists, so thank you for introducing me to new music. I really liked "Help I'm Alive" by Metric. I haven't heard most of these. I'm loving all the new music I'm discovering through this challenge! Mandarin & Green Tea Hot Toddy Warm Up!